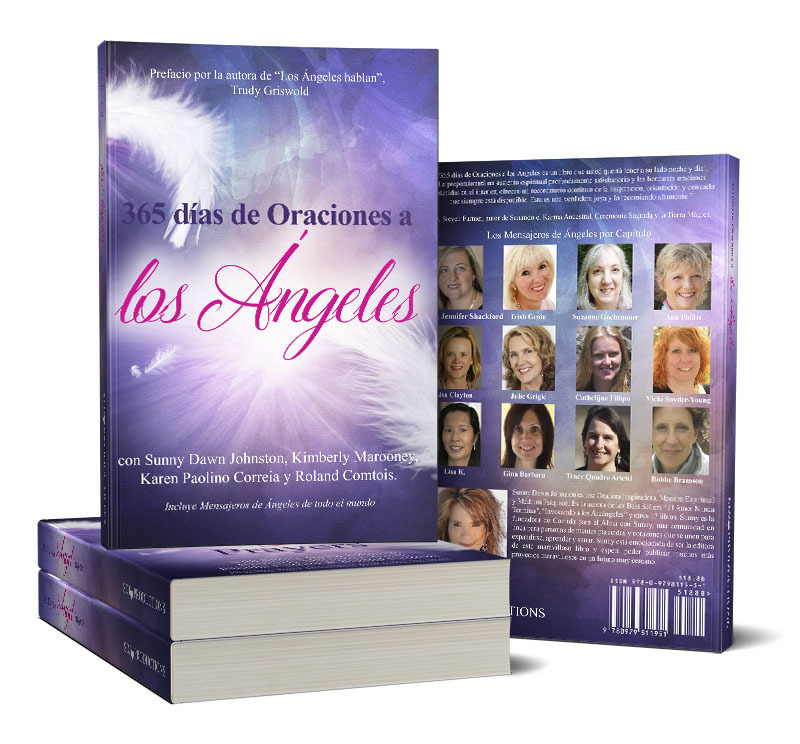 New Release – Spanish Version of 365 Days of Angel Prayers Now Available!! 365 días de Oraciones a los Ángeles es un libro que usted querrá tener a su lado noche y día!.“Le proporcionará un sustento espiritual profundamente satisfactorio y las hermosas oraciones contenidas en el interior, ofrecen un recordatorio continuo de la inspiración, orientación y consuelo que siempre está disponible. Esta es una verdadera joya y lo recomiendo altamente.” Dr. Steven Farmer, autor de Sanando el Karma Ancestral, Ceremonia Sagrada y la Tierra Mágica. Sunny Dawn Johnston es una Oradora Inspiradora, Maestra Espiritual y Médium Psíquico. Es la autora de los Best Sellers “El Amor Nunca Termina”, “Invocando a los Arcángeles” y otros 17 libros. Sunny es la fundadora de Comida para el Alma con Sunny, una comunidad en línea para personas de mentes parecidas y corazones que se unen para expandirse, aprender y sanar. Sunny está emocionada de ser la editora de este maravilloso libro y espera poder publicar muchos más proyectos maravillosos en un futuro muy cercano. Catherine Madeira: Bequeathed with information in Sciences, Space, Metaphysics, Clairvoyance and beyond. Knowledge shared through writing or request. Previous works found on Amazon & B&N. catherinemadeira@aol.com Daughter of Lilas Hardin. Mother of Brilliant, Jason & Kendal Vaughan. Grand Mother of Cherished Harlo Monroe our Crystal Child. Charles Ferrell has been practicing Buddhist meditation and Dharma for 15 years. He works in technology management. In his spare time teaches meditation and practices with his wife Katina in the New Kadampa Tradition. Charmaine Gagnon is a Photographer, Writer, Poet, and Reiki Master. She loves nature and all of creation, and she expresses this with an open heart. As an empath, she feels what others feel, recognizes their true essence, and honors the Divinity in all people. Cris T Linn, author, student, and teacher of esoteric studies shares her knowledge through workshops and one on one coaching sessions. Believing the tools that saved her, can also save the world, she is expanding her message and dedicating her life to building a bridge of awareness to metaphysical modalities. Deb Alexander lives in Minnesota and works at a community center teaching Deep and Shallow Water Aerobics, swim lessons and yoga. Besides her family and friends, she enjoys her hens, Rufus the cat, creating art, and learning through life’s journey. Halina Kurowska is an author, Life Coach, Spiritual Counselor, Heal Your Life® Teacher and founder of Living With AWE: Awareness Wisdom Empowerment. 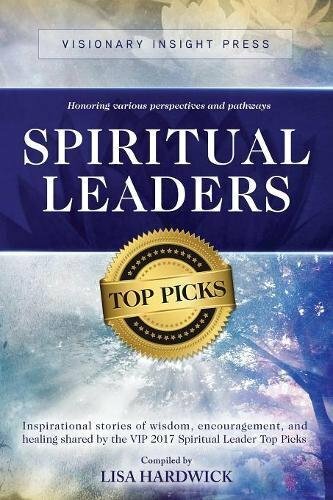 Halina has spent many years on a path of spiritual development. Having transcended her life, she is now assisting others in their transformation through coaching sessions and workshops. www.livingwithawe.com; Facebook: Living With AWE: Awareness Wisdom Empowerment. Jan Schipman is a multi-sensory animal communicator, energy healer, and Reiki Master. Her passion is working with animals to heal their lives and receive their beautiful messages. Through their messages, she and the animals help people tap into their inner selves for healing and strengthening the human-animal bond. Julie Geigle is a gifted trance channeler for Metatron, a 4th generation Psychic Medium and Healer. She is the host of “Angel Talk Tuesday” and “Angel Healing Wednesdays.” Pick up your free gift “Manifesting Miracles” at juliegeigle.com and book your next appointment to gain clarity and direction in your life. Kallie Johnston: I have always loved writing and took joy in learning how tough the English language can be, but how beautifully it can touch someone within. 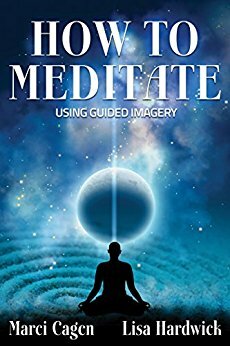 I appreciate the chance to share some of my thoughts with you in a guided meditation. Karen S. Itin: She was raised in Indiana walking the white sandy beaches. She studied Psychology and Interior Design, calls herself an artist and loves books. She and her husband share their home where they enjoy growing a vineyard. She loves spending time with her two sons and dog. Katina Gillespie Ferrell is a writer, certified workshop facilitator, New Kadampa Tradition practitioner, and employee experience professional. She enjoys adventures with her husband, Charles, volunteering, hiking, dharma, physical fitness, empowering others to shine their Light and sharing time with her family and close friends. Katrina L. Wright is a consummate~artist, creator and conscious entrepreneur. A lifelong seeker of Truth, yogi, and avid meditator who enjoys living from her ‘heart cave’, working with kids and inspiring others to greatness. She holds an M.A. In Spiritual Psychology from the University of Santa Monica and resides in Southern California. Lindsley Silagi, is an educator and professional coach with a private coaching practice, Step By Step Results!, located in Santa Teresa, New Mexico where she lives happily with her husband, Lon. Lindsley loves dance, art, music, nature, little kids, hot springs, gardening, books, striking up a friendship, photography, and travel. Lisa Eleni Battaglino-Nelson: I am a proud mother of two amazing people, an intuitive artist of many media and an engaged high school English teacher. I have also developed healing workshops that encourage others to find their light, embrace it and let it shine through art, journaling and connecting to others. Lisa Hardwick is a Writer, Publishing Consultant, Artist, and Certified Workshop Leader. She enjoys traveling with her husband, Ken, spending time with her grandchildren, Maci, Cole, Max and Ava, and going on fun adventures with BFF, Chicago Mermaid. Robin Lynn Harned is a Reiki Master/Teacher, Hatha Yoga Instructor, Ordained Minister, Certified Mind Body Spirit Practitioner and Administrative Assistant to Sunny Dawn Johnston. Robin offers Chakra Clearing Reiki sessions to her clients with a focus on the 7 Chakras. 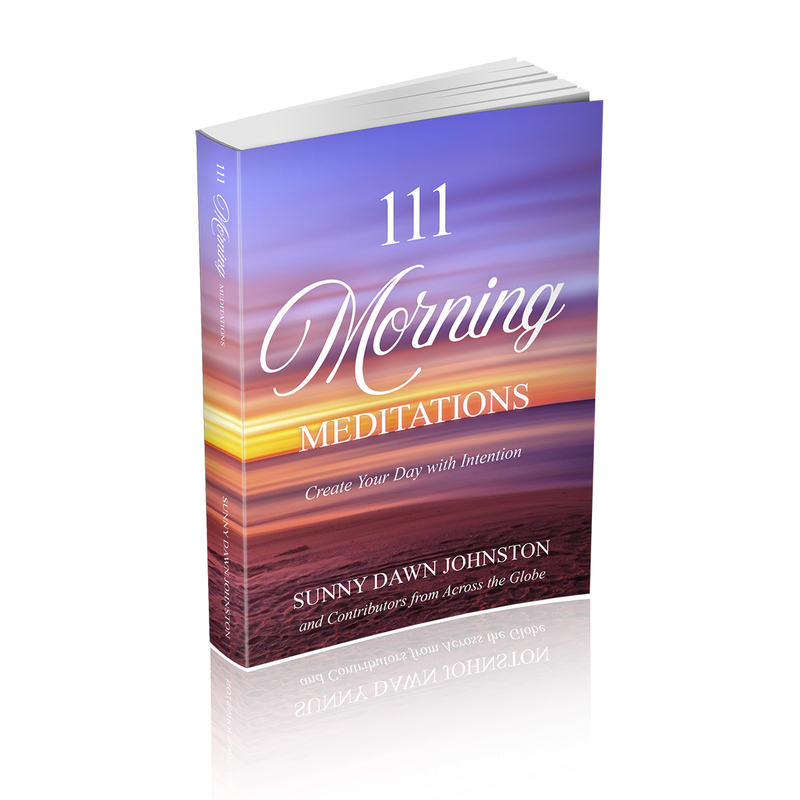 Contact Robin at robin@sunnydawnjohnston.com or Sunny’s office: 602-375-6788. Susan Barrett: I am a writer, Angel Communicator, Certified Prayer Practitioner. I am a former Health Care Administrator. I attended the University of South Florida and currently live in Cave Creek, AZ. Susan Luth Leahey is a certified coach, working with her clients to support them in identifying their goals and achieving their desires. Her work offers insights and tools, opening new paths to self-awareness, perspectives and ultimately connecting more fully with one’s own intuition. Terri Beaver lives in a small town in southern Nevada, next to Hoover Dam, and Las Vegas. This gave her a small-town attitude with funny quirks that Las Vegas will add to anyone’s personality. Terri’s greatest joys are her family, God and good friends. Trish Bowie is Married, Mother, Grandmother, Author, Motivational Speaker, Coach, Facilitator. Trish has committed her life to teaching others how to heal themselves. Trish has 21 years’ experience as a Reiki Master/Meditation Teacher and is certified in many other modalities and techniques. She offers 24 different workshops and training. Guided imagery scripts for individuals, teachers, presenters and workshop facilitators. 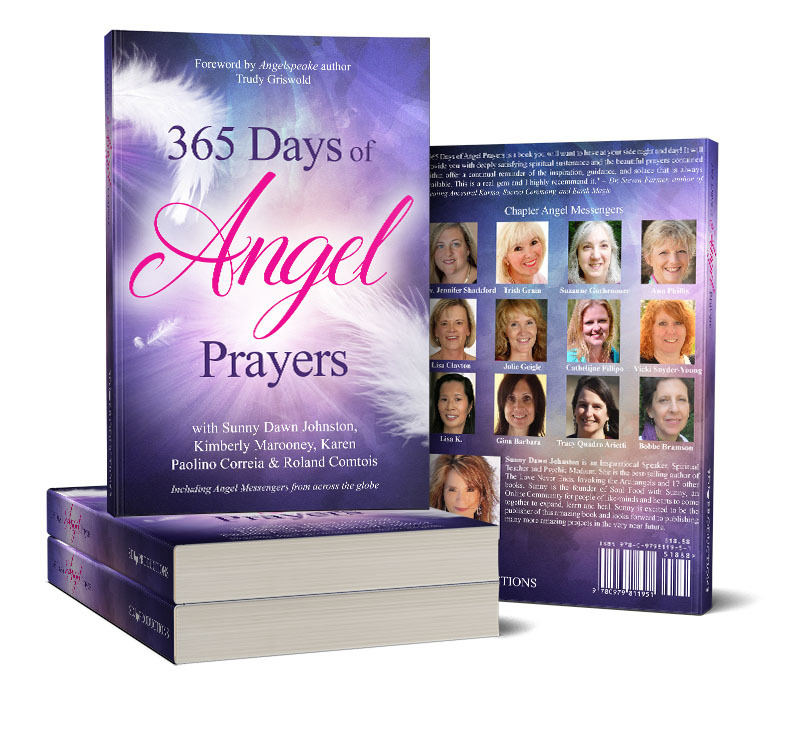 Features over 50 topics including connecting with angels, creating abundance, emotional healing, finding your purpose, weight loss and more. Bonus section for children.